Description There is hardly any background sky in this very dusty part of the southern Milky Way. These two beautiful objects can be found about halfway between the Trifid Nebula (M 20) and the Swan or Omega Nebula (M 17). 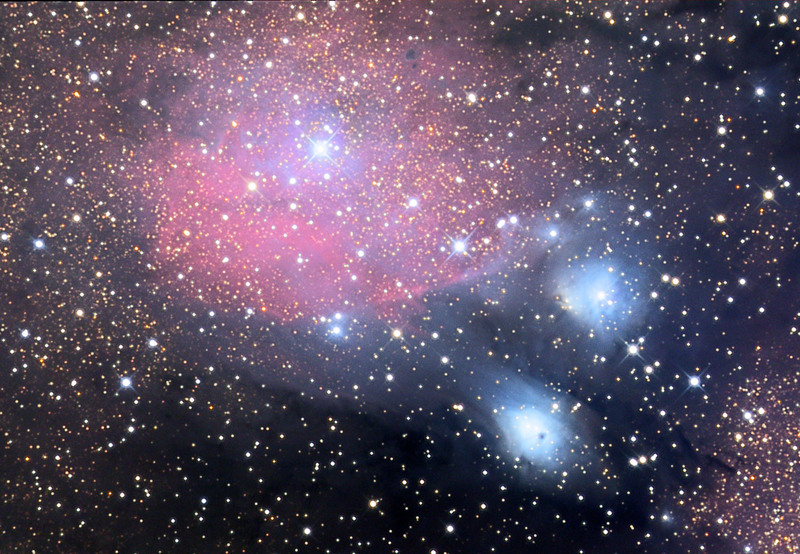 Blueish reflection nebulae and brownish dark interstellar cloud appear to be superposed on the pink emission nebula. North is up in this approx. 20x30 arcmin field. Camera SBIG STL-11000 with Astronomik Type II filter set - selfguided.